Second, realization this might not be some kind of a joke: Saturday Night Live Obama Impersonator Accepts Nobel Prize on Behalf of President, Says "What? This Wasn’t a Joke?" 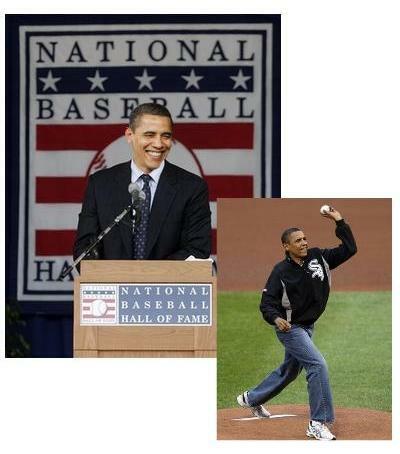 "In accepting the award, Obama said his pitching prowess grew out of his bowling skills, which he infamously compared to "the Special Olympics" on the Tonight Show with Jay Leno." more here.